"I don't owe anybody, anything." Saban Films has debuted a new official trailer for an action crime drama titled Speed Kills, based on a book by Arthur J. Harris. This oddly premiered as a VR Experience, a feature film presented entirely as a VR feature, and it won the top award at a film festival earlier this year. John Travolta stars in this action-packed true story of an ‘80s speedboat champion and multimillionaire caught between the mob and the law. The impressive full cast includes Katheryn Winnick, Matthew Modine, James Remar, Kellan Lutz, Jennifer Esposito, Tom Sizemore, Jordi Molla, Michael Weston, Moran Atias, and Amaury Nolasco. 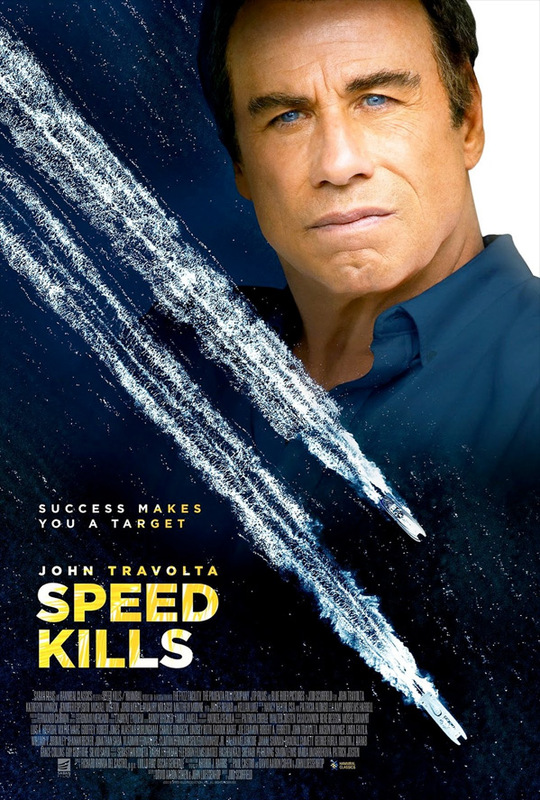 By now we all know that Travolta isn't really making any good films anymore, and this looks to be staying true to that. I'm glad they're not trying to still push the VR experience. 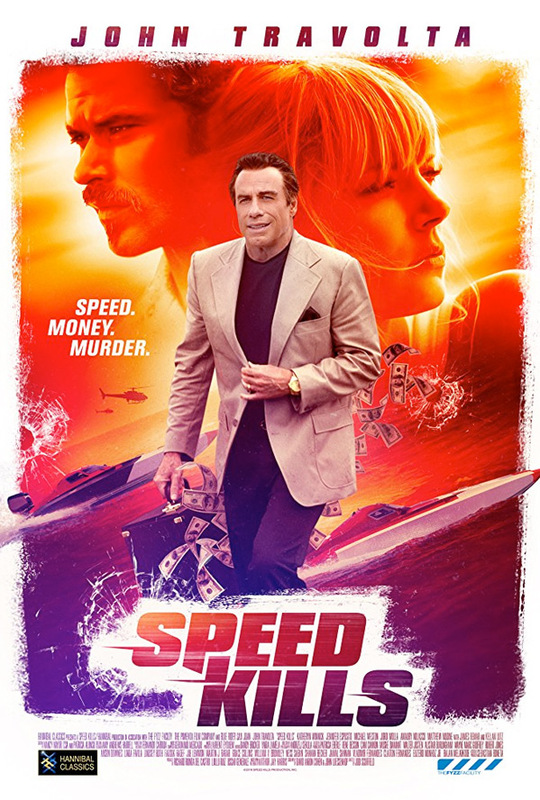 Speedboat racing champion and multimillionaire, Ben Aronoff (John Travolta), leads a double life that eventually gets him in trouble with the law and with drug lords. Speed Kills is co-directed by American filmmaker John Luessenhop (director of Lockdown, Takers, and Texas Chainsaw 3D previously) & newcomer Jodi Scurfield (making her feature directorial debut with this film). The screenplay is written by David Aaron Cohen & John Luessenhop; from a story by Paul Castro & John Luessenhop, and David Aaron Cohen; based on the book "Speed Kills" by Arthur J. Harris. This first premiered as a Virtual Reality (VR) Experience and won Best Feature Film VR at the Cinequest Film Festival this year. Saban Films will release Luessenhop & Scurfield's Speed Kills in select theaters starting November 16th this fall. Anyone?